The Mayor of Orihuela, Emilio Bascuñana, and the Councilor for Beaches, Luisa Boné, recently accepted the Blue Flags that certify the quality of the Orihuela Costa beaches. A total of 11 Blue Flags are waving on the Orihuela Costa beaches this year, thus making Orihuela the second Spanish municipality with more beaches and marinas awarded with this quality label. 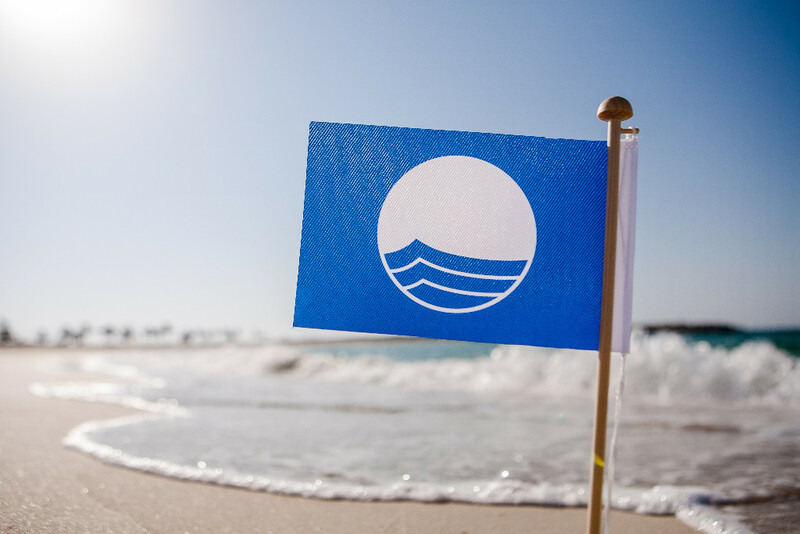 The following beaches have gained a Blue Flag this summer: Punta Prima, Cala Mosca, Cala Estaca, Cala Bosque, Cala Capitán, La Caleta, Cala de Aguamarina, La Glea, Barranco Rubio and the Marinas of Cabo Roig and Dehesa de Campoamor. Orihuela Costa beaches have also been awarded 11 Qualitur Flags certifying its quality and excellence plus 5 Q Flags for Quality have been given to Punta Prima, Cala Estaca, Cala Capitán, La Glea and Mil Palmeras. This award acknowledges the improvement of facilities and general infrastructures, water and sand quality, etc. The Blue Flag is an annual environmental award given by the Association of Environmental and Consumer Education, the Spanish branch of the European Federation of Environmental Education, which is given to those municipalities that make a special effort in the management of coastal environment.